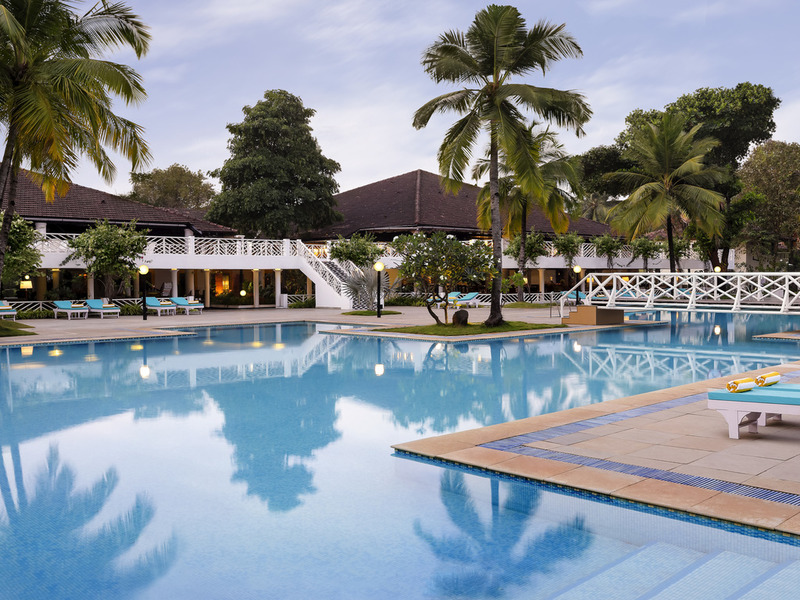 Enjoy exclusivity as you descend into the world of Novotel Goa Dona Sylvia. Our 181 rooms spread over 20 acres of lush gardens and swaying palm trees, each featuring state of the art facilities. Mediterranean styled villas reflecting the Goan Portuguese a rchitecture, exude a laid-back and peaceful vibe. Savour flavours at our distinguished restaurants Seagull, Mama Mia and Kebabs & Kurries. The hotel also features famed bars, a sports corner, pool area and a supervised Kids club with activities. The must visits in Goa include the World Heritage Site @ Old Goa, Mangueshi Temple, Shantadurga temple, Panjim city for local shopping and a stop over at Panjims main church situated right in the heart of the city. Enjoy special activities at the clubhouse with a special play area for kids. Pool facing multi-cuisine buffet restaurant with interactive live counters. Relish pure deliciousness with your family or friends in a perfect setting while the globe chandeliers romance you from the high arched ceilings. Mama Mia is our speciality poolside grill & steakhouse, serves fresh seafood, meats, and greens cooked to appease your palate. Satiate your taste buds with a selection of our finest cuts that is cooked to perfection by our Cuisinier. Open from 7:30pm to 10:30pm, the fine Dining Indian Restaurant, offers a choice of mouth watering delicious Indian and Mughlai cuisine which is a blend of succulent kebabs and aromatic tangy curries in a symphony of authentic flavours. With its classic Mario Miranda wall illustrations, outdoor sitout space, and a tune so alive, our sunset bar will transport you back to the 'susegad' merry life of the Goan-Portuguese era. Soak up the tropical sun at our poolside bar as you sip on house-made infusions. With an inventive cocktail menu shake-stirred by our skilled bar attendants. Claim a table or order at your leisure without leaving the comfort of your sun longue.